- Manufacturing - In House Panel wiring and Fabrication, We offer you a complete range of Industrial Automation, Electrical and Electronics Panel, AC and DC Control Panel, PLC Based Control Panel.PCC & MCC Panel. 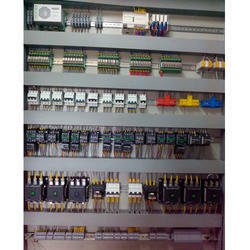 To match with the varying and rising desires of our clients, we have come up with exclusive range of PLC Control Panels. These are designed by our experts using high quality raw material and ultra-modern technology. We are providing Fire Alarm & Gas Release Control Panels For Ship that can immediately sense all types of fire presence by the help of well maintained sensors. These fire alarms activate sounder after sensing the fire. With help of Gas release controller, gas (Co2/FM200/Halon) suppression system will be activated. 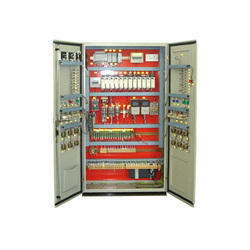 With an aim to rank decent on the expectations of our honored patrons, we provide a variety of PLC Electrical Control Panel.